A monthly periodical that published literary and antiquarian articles alongside local and domestic news. The periodical was edited by John Oldisworth. 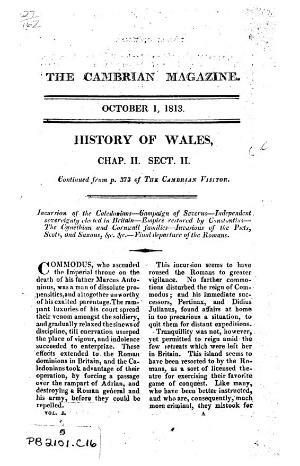 Associated titles: The Cambrian Visitor (1813).